We are a small family living in Curitba in the south of Brazil. We got married in 2005 and, after living in Rio, we decided to have our first son who came along in July 2011. My wife was originally from Curitiba so we decided to come back here for free babysitting services from her family. My wife speaks Portuguese as a first language and English fluently. She has lived in Scotland, England and the USA, as well as spending considerable time in London and travelling around Europe. She also speaks Spanish fluently, although she claims this is starting to get a bit rusty due to under-use. She can also just about get by in French, although she was better at this in the past when sha had time to study it. I am a typical Brit in that I speak English and, until I decided to live in Brazil permanently, nothing else. I can now hold a decent conversation in Portuguse, understand pretty much everything that is said in standard Brazilian Portuguese and can read Portuguese pretty well. I have problems with the grammar of the language, but this I just ignore in the hope that people will understand me anyway through my natural charm. Our son is (hopefully) being brought up to speak both English and Portugese. We have a basic strategy in place but this has yet to be tested. I like your blog. There is a lot to explore on your blog !!! Thank you for visiting mine. Thanks for the visit and the sound advice, especially about the patience. I have started mentally prepare for the worst, that way things must be a little bit better, right? I think maybe the reason you couldn’t find the comments section is that you have to actually click on the post to see it. This is a bit of a design flaw for WordPress blogs. I didn’t realise that. I shall look into it. Thanks a lot. Hi Stephen! I nominated you for a Liebster 🙂 Enjoy! Thanks a lot for your nomination! I’ll have a think about who to nominate myself and then pass it on. Thanks a lot for the award Rita. As soon as I can get more than 10 minutes together I’ll write my own post to keep it going. Fun blog! I definitely would like to contribute one day! I’m American-Malaysian living in the Middle East with my Bengoli husband so I might have a word or to say about multiculturalism. I’m working on a project at the moment with the British Council and over 9000 Malaysian teachers to improve their level of English. 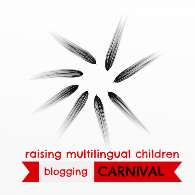 I would love to hear everything you have to say on the topic of bilingualism. Hey Stephen. How are you?I came to your blog when reading some news at the bbc. So congrats!!! u are getting famous lol :). So congrats for the blog too and for the work u are developng there. I was about to write you cause a simple question, but I got the answer when I sow your relation to Curitiba was due to your wife. Btw I am a brazilian living in Germany for few years but seeking for a place to live/study/work in Brazil again. At this point life quality and greeness of the place are coming on the top of my list. But it is very often that we brazilians do not know well our own country in several aspects. but anyways… Besides that primary question (why from England to Curitiba) I would like to hear from you how is really the day life in that city considered one of the greenest ones at least for Brazilian standards. Is it that really so? Ist it that easy and “payable” to get biofood, farmproducts etc?. Besides of that, how international would you say the city looks like for you as native English speaker? in this sence how do the people interact with/see/experience an international environment there? Do you see to much differences on the life stile from other brazilian capitals u have already lived/or beeing? As a professional working somehow with education how do you see it the public system there? or do you have to pay more then 1000 reais guarantie your son are going to a “descent” school? best whishes and much success with the blog! Hi Mauro, I am sorry it has taken me so long to reply, but I have been very busy the past few months and so I havem’t even looked at my blog. I think Curitiba is probably the greenest big city I have visited in South America, but that isn’t really saying much, I’m afraid. I have been warmly welcomed by everyone I have met, and there is quite an international awareness here. Bit that might just be because the sample I am aware of is quite self-selecting. I hope to see you around here again in the future, especially now that I hope to be writing a bit more. I’m tony and from Santa Catarina which is quiet close to you. I’m surprised you’ve not written anything about your neighboring state and could be a good option to run away from this freaky whether crazy place and not very attractive people and not forgetting that they drive like maniacs. Be careful when crossing the streets, they aim at you and accelerate. They would spit at you If you try to talk to them. They spend and spend in your condominium and they don’t understand that nobody wants to buy an apartment with a expensive service charge. Their condo meetings are a joke, no idea about cutting costs. Their dog bark and they blame on you. You don’t need a cold whether to feel cold at this place.They do freak me out. No, nothing against them. I lived in Curitiba for so many years I ended up being forced to love them…Kidding…They have good restaurants. It seems you don’t have such a high opinion of Santa Catarina. To be honest, I only know the place from the odd holiday in Florianopolis and Mariscal. I think I met more Argentinians than local people. Hi Russell, It’s great to hear from you. I’m sorry it has taken me so long, but things have been hectic around here the last few months. Are you still in Brum? I’m heading back for a few weeks in April, just me and Mr T.
Excellent. I’ll let you know!